A new study from the University College of London provides strong evidence that cannabis use does not reduce intelligence. The study draws on a large sample of 2,612 children born in the Bristol area of the U.K. in 1991 and 1992. Researchers examined children's IQ scores at age 8 and again at age 15, and found "no relationship between cannabis use and lower IQ at age 15," when confounding factors - alcohol use, cigarette use, maternal education, and others - were taken into account. Even heavy cannabis use was not associated with IQ (intelligence quotient). The study was presented at the annual congress of the EURopean College of Neuropsychopharmacology in Berlin. It raises questions about public health messages, suggests lead researcher Claire Mokrysz. "In particular alcohol use was found to be strongly associated with IQ decline," the authors write. "No other factors were found to be predictive of IQ change." The UK study does find evidence, however, of slightly impaired educational abilities among the very heaviest cannabis users. This group of students scored roughly 3% lower on school exams taken at age 16, even after adjusting for confounding factors. The EURopean Medicines Agency (EMA) has granted orphan designation to Epidiolex, a cannabidiol extract of the British company GW Pharmaceutcals, in the treatment of Dravet syndrome, a rare and severe treatment-resistant form of childhood epilepsy. In addition, GW has been granted orphan designation by the U.S. Food and Drug Administration (FDA) for Epidiolex in both Dravet syndrome and Lennox-Gastaut syndrome (LGS). GW Parmaceuticals also announced it has commenced a Phase 2/3 clinical trial of Epidiolex for the treatment of Dravet syndrome in several US hospitals. The EMA orphan designation is a status assigned to a medicine intended for use against a rare condition (prevalence of the condition in the EURopean Union must not be more than 5 in 10,000) and allows a pharmaceutical company to benefit from incentives offered by the EU to develop a medicine for the treatment, prevention or diagnosis of a disease that is life-threatening or a chronically debilitating rare disease. These incentives can include reduced fees and protection from competition once the medicine is placed on the market. Press release by GW Pharmaceuticals of 22 October 2014. Press release by GW Pharmaceuticals of 30 October 2014. Chest pain doesn't necessarily come from the heart. Non-cardiac chest pain can be frightening for patients and result in visits to the emergency room because the painful symptoms, while often originating in the oesophagus, can mimic a heart attack. 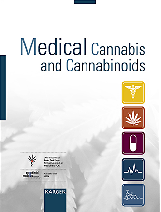 New research authored by gastroenterologist Dr Ron Schey at Temple University Hospital in Philadelphia, USA, suggests that a treatment with the cannabis compound THC may be beneficial. In a pilot study involving 13 patients with non-cardiac chest pain, Dr Schey and his research team found that patients who were given 5 mg of THC twice daily for four weeks fared better than patients who took a placebo. Those getting THC experienced improved pain tolerance and decreased frequency and intensity of chest pain. In addition, no significant adverse effects were reported. It is with great sorrow that we came to know that Dr Itai Bab, a professor at the Hebrew University of Jerusalem and a wonderful person, passed away on 19 October. Dutch and Australian researchers investigated availability of THC (40 mg) and CBD (100 mg) after vaporisation with the Volcano vaporizer. 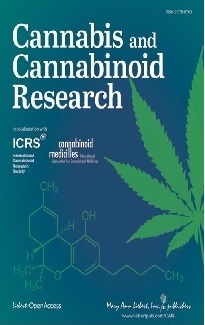 THC showed 55% availability when vaporised alone or with low dose CBD, while large variation in the availability of high dose CBD impacted upon the availability of THC when co-administered, with each compound affecting the vaporisation efficiency of the other in a dynamic and dose-dependent manner. Solowij N, et al. BMC Pharmacol Toxicol 2014;15(1):58. Some people say that hemp oil helps them to cope with ADD (Attention Deficit Disorder) or ADHD. According to a dissertation at the Sahlgrenska Academy, University of Gothenburg, Sweden, the fatty acids omega 3 and 6 can help children and adolescents who have ADD. Hemp oil from hemp seeds is rich in these fatty acids. Omega 3 can help children with ADD, experts say. For the first time it was demonstrated that central and peripheral CB receptors are responsible for the protective and therapeutic action of cannabinoids in mouse models of inflammatory bowel diseases. Snyder Institute for Chronic Disease, University of Calgary, Canada. Fichna J, et al. PLoS One 2014;9(10):e109115. School of Veterinary Medicine, University of São Paulo, Brazil. Animal research shows that CB1 receptors in a certain brain region (hypothalamic ventromedial nucleus) provide a molecular switch adapting the organism to change in diet. For example, under high-fat diet, a lack of the CB1 receptor in this region increases adiposity. Cardinal P, et al. Mol Metab. 2014 Aug 1;3(7):705-16. New findings of research with rats underscore the therapeutic potential of THC in the treatment of obstructive sleep apnoea and implicate participation of both the CB1 and CB2 cannabinoid receptors in THC's apnoea suppression effect. Center for Narcolepsy, Sleep and Health Research, University of Illinois at Chicago, USA. Calik MW, et al. PLoS One 2014;9(10):e111412. 15 volunteers on three occasions were randomly offered a meal containing 30 g of bread and 30 mL of one of three selected oils: sunflower oil, high oleic sunflower oil and virgin olive oil. Results showed that after oleic acid consumption the circulating oleoylethanolamide was significantly higher than after sunflower oil consumption. A concomitantly significant reduction of energy intake was found following oleic acid intake. Department of Agricultural and Food Science, University of Naples Federico II, Italy. It appears that paracetamol-induced antidepressant-like and anti-compulsive effects may, at least partially, involve both the serotonergic and the endocannabinoid system. In addition, co-administration of paracetamol and fluoxetine at subeffective doses produced synergistic effects, indicating that subthreshold doses of fluoxetine and paracetamol may enable better management in depression and obsessive-compulsive disorder comorbid patients. Rashtrasant Tukadoji Maharaj Nagpur University, India. Acute activation of cannabinoid receptors by anandamide reduces gastro-intestinal motility and improves high glucose concentrations in blood after a meal in mice.